If you want to lead a long, healthy life, you’ll want to make sure you exercise, get plenty of sleep, and eat a clean, plant-based diet infused with plenty of vitamin C. Vitamin C and longevity go hand-in-hand, so dive through this list of 10 foods high in the essential vitamin and consider this your invitation to start living the healthiest life possible. 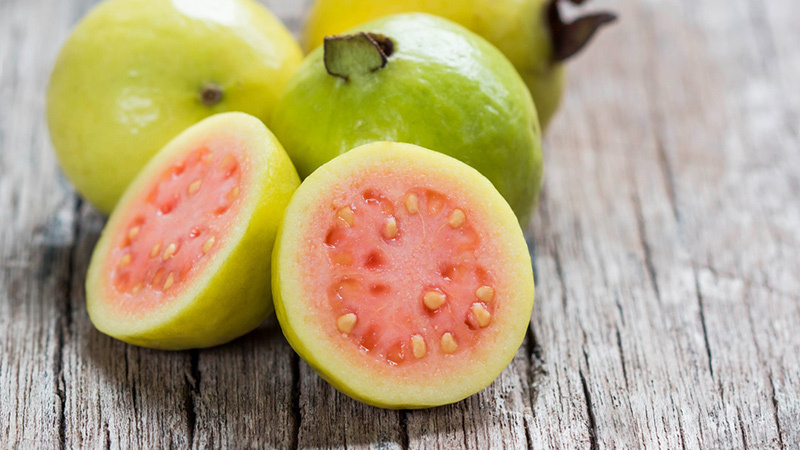 Most people assume an orange is the food with the highest vitamin C content, but in fact it’s guava. 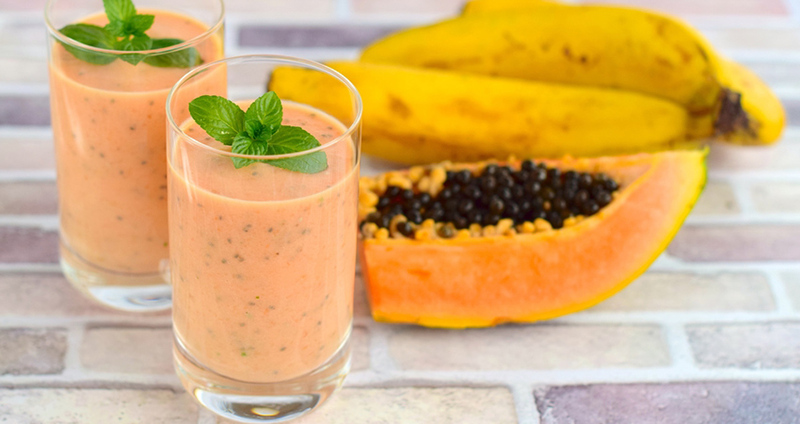 Eat a 56-calorie half-cup of guava and receive a whopping 188 milligrams of vitamin C. Try this Sunshine Smoothie featuring banana and guava to really get your morning off on the right start. The capsaicin in chili peppers is thought to help relieve joint and muscle pain and that’s just one of its many benefits. Another benefit? 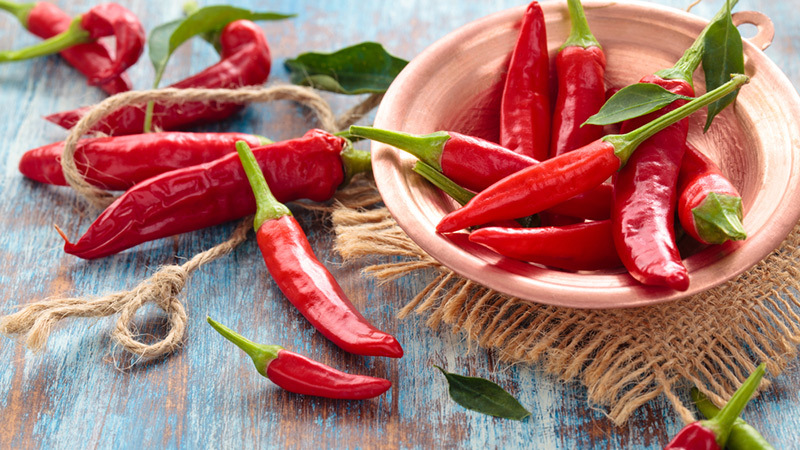 Chili peppers have a vitamin C content that’s through the roof: 107.8 milligrams per half cup. Next time you’re in the mood for something with a little heat, whip up a batch of this Red Bean and Poblano Chili. Add some bright yellow and reds to your diet and enjoy some vitamin C in the process. You’ll find 155 milligrams in each half cup of yellow peppers. In the mood to try something new? Try these Hungarian Stuffed Yellow Peppers. 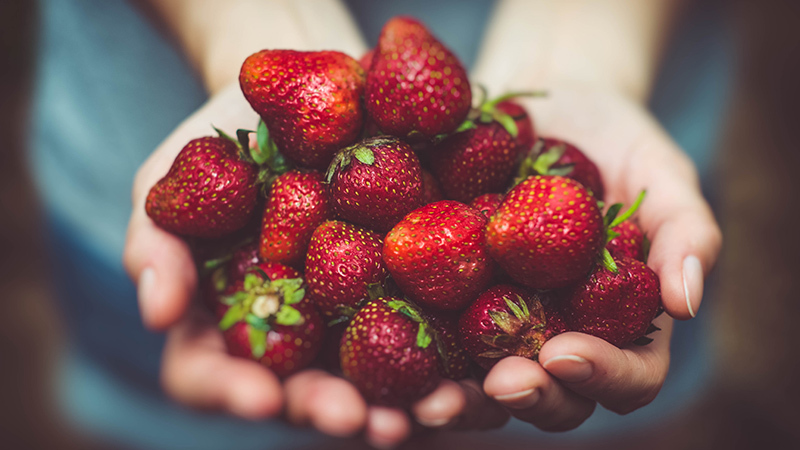 Ah, strawberries: they’re sweet, they’re juicy, and you can enjoy them for dessert without wreaking ruination upon your diet. Strawberries are filled with fiber, antioxidants, and – you guessed it – vitamin C. Enjoy a cup of strawberries for 84.7 milligrams of vitamin C. Make your sweet tooth and your heart happy with these Strawberry-Lemon Shortcakes. There’s nothing like a fresh papaya to make you feel like you’re on a tropical vacation. Papayas have 168.08 milligrams of vitamin C, making them an excellent source. Wow everyone at the party by bringing this Cucumber-Papaya Salad to the next potluck or incorporating papaya into a delicious smoothie. This superfood is super-packed with vitamin C: 80.4 milligrams per half cup. The benefits of kale don’t stop there. 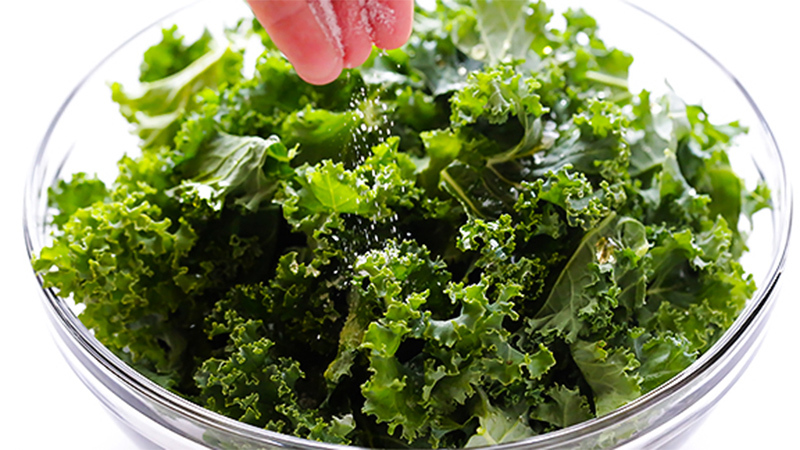 Kale has twice the recommended daily intake (RDI) of vitamin A and seven times the RDI of vitamin K, plus it’s a good source of minerals and fatty acids. Instead of waiting in line at brunch this weekend, make your own delicious Potato, Kale, and Fennel Hash. 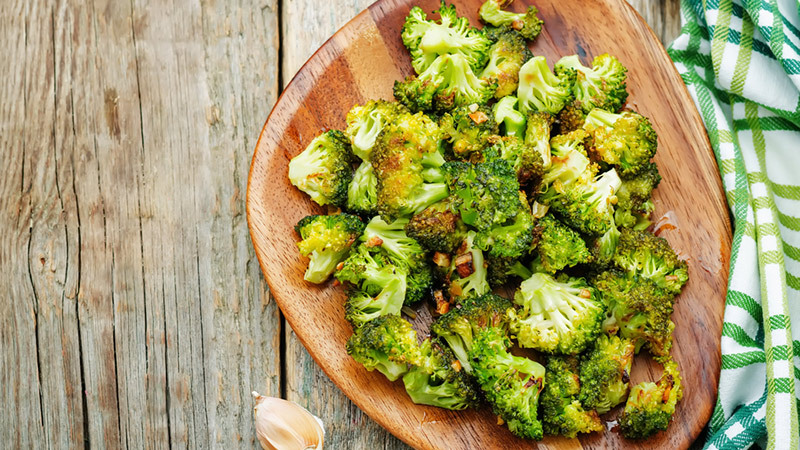 One serving of fiber-packed chopped broccoli contains 132 milligrams of vitamin C. Sneak some into your diet by whipping up this Green Pizza. While you’re at it, you’ll also receive high doses of vitamins A and K.
By simply adding fresh herbs to your meals, you can up your vitamin intake even more. 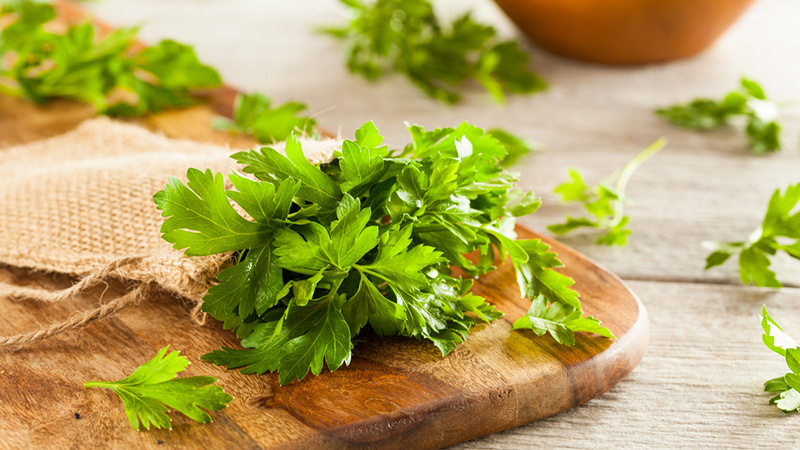 One tablespoon of fresh parsley has 5.12 milligrams of vitamin C. It’s also a good source for potassium, calcium, magnesium, vitamin A, and B vitamins. Parsley plays a starring role in this Moroccan Potato Salad. One sweet potato contains 37 percent of your daily vitamin C. It also contains many other good-for-you ingredients like vitamins A and B-6, pantothenic acid, potassium and manganese. 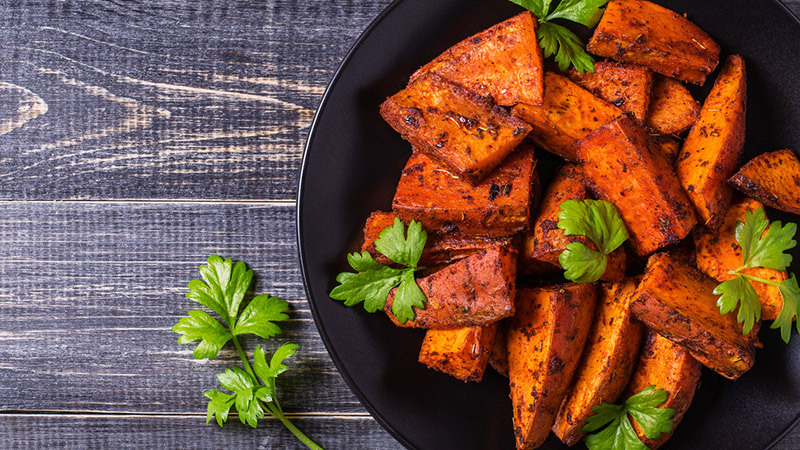 As the weather gets warmer, head out to the grill and make a batch of Grilled Sweet Potatoes with Lime and Cilantro. 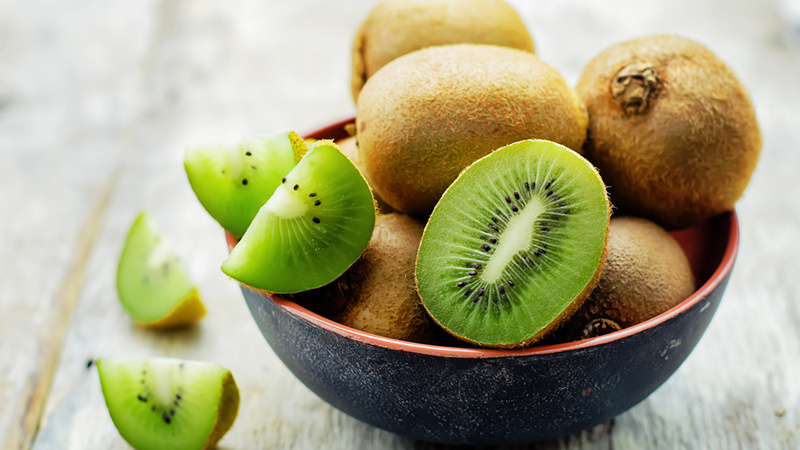 One kiwi has 1.5 times the recommended daily vitamin C. Antioxidants, vitamin E, flavonoids and carotenoids also play a big role in kiwi. Try this Kiwi Mint Lemonade for a refreshing summertime drink.